Would you believe that you could ask a full-grown man to hold a penny for you and then tell him to drop it and finds he can’t, hard as he may try? 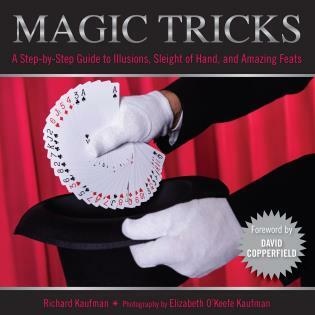 In what is undoubtedly the most original magic book of our time, John Fisher shows the reader how, with minimal practice, he can use the marvels of the human body to entertain and mystify friends and family, small and large audiences. This book is first of all a delight to read because of the instant education it provides us with about the unknown powers we have in our hands, our eyes, our noses, and our incredible nervous system. In each case, Mr. Fisher shows the easy-to-grasp principle first and then how to put the principle to work in actual tricks. John Fisher is a member of the International Brotherhood of Magicians, the author of a number of books, and is best known as the producer of the biggest talk show on BBC television. An ideal source of material with which to amuse your after dinner or drinking companions. The concise, entertaining explanations may make the book even more valuable to teachers and parents. An entertaining and highly informative work. 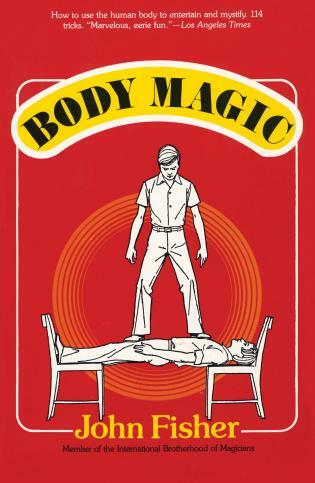 All of the tricks in Body Magic are great fun and many are truly astonishing. 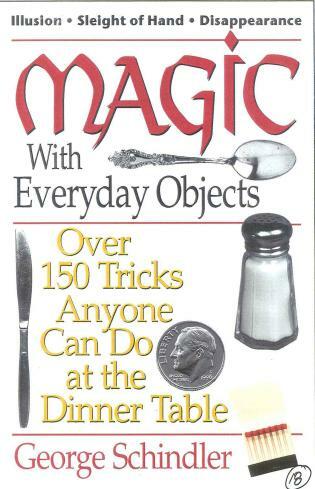 Most magic books require a great deal of study and dexterity. This one enables you to entertain people even before you have finished the book. Moreover, you never have to worry about being prepared, because you always have with you all the miraculous things you need—your hands, your eyes, and the rest of your body.